Leticia with Waylon: how to travel and change the world & ourselves for the better—at the same time. Waylon talks with Leticia Reyes about mindful travel and using social media as a tool for change. Traveling is great, but if we don’t do so mindfully, we risk exploiting a country, its people, and their culture. 109 World is a non-profit that allows you to travel with a group of individuals who want to see the world and change it for the better. It’s run by a group of inspiring ladies who work to re-define social media and eco-tourism as a platform for necessary conversations about doing good in the world. Check them out! 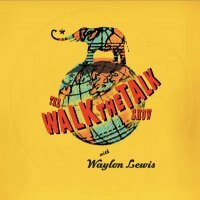 Watch: One Take with Waylon Lewis & Mr. Unreasonable, Daniel Epstein. Waylon talks with elephant star, Instagram heroine, yoga girl Rachel Brathen.